House Mice will enter your home or commercial property in search of warmth looking for potential nesting sites. Their droppings can be visible to the naked eye and look like small black coconut flakes. They cause serious damage to stored foods, cupboards, kitchens, and roof spaces. Mice will contaminate way more foodstuffs than they actually eat. They are agile climbers squeezing through very small gaps the size of a pencil. Bristol Mice have two incisors that are continuously growing and as a part of their behaviour they will gnaw on materials to stop them from growing too long - mice will frequently chew electrical cables, gas pipes, water pipes, food packets, wood furniture and sometimes mild steel! Mice will deposit up to 80 droppings in a day. The underside fur of a mouse is wet with urine so as they climb across vertical and horizontal surfaces they will contaminate areas with bacteria and disease. Food poisoning and salmonella is very common with mouse infestations. It is important to act quickly with mouse control because mice breed very fast. A mouse starts breeding when it is about 50 days old and produces 10-12 offspring in just 20 days. Crucially, mice can start breeding again very quickly after a litter, with new litters every 24-28 days. The signs of a mouse infestation include a stale odour, droppings that are about 3-7mm long and tapered to a point, damaged food and dark smear marks on walls and on pipes. Gnawing marks, with two shallow grooves 1mm apart, are also a clear indication you will need mouse control. You may also see traces of mouse nesting material such as shredded cardboard, and an ammonia-like smell in small spaces. 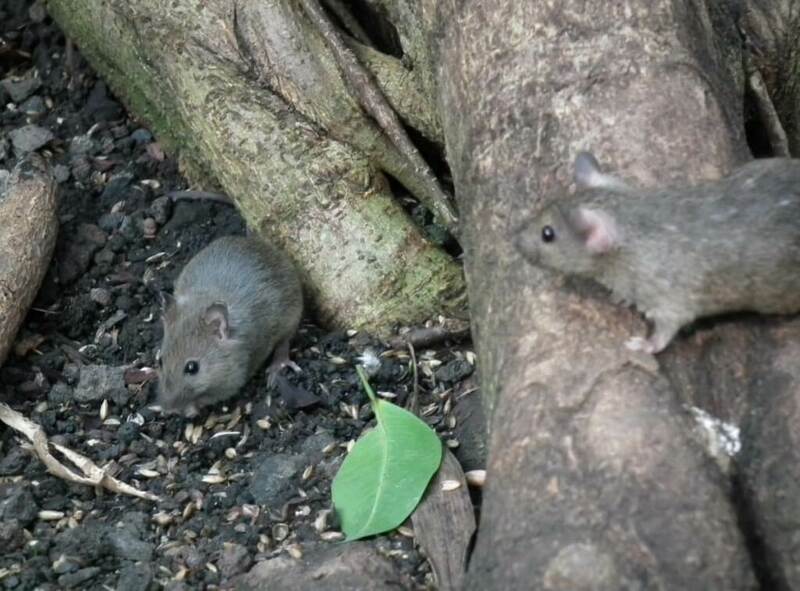 Mice have weak eyesight and see best in dim light, but their other senses are acute. Mice nest near to where they forage, rarely straying more than 10-30 feet from the nest to a foraging site. Mice make up to 20-30 visits to different food sites each night, taking little at each site and marking where they've been with urine. We like to use a combination of technique’s including poisons, traps, rodenticide contact dust and gels. When a mouse infestation comes into contact with rodenticide gels and dust the poison rubs off their paws and fur as they spend 75% of their time grooming, the rodenticide is then ingested and just as effective as eating mouse bait.